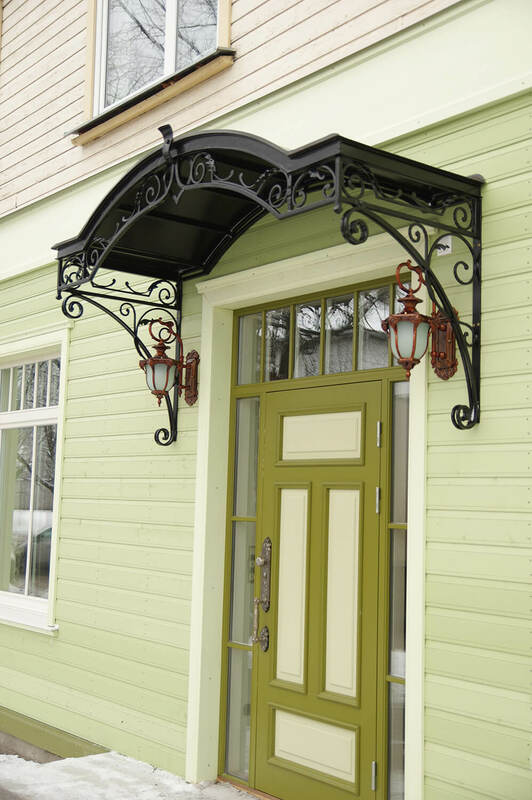 A high quality and original ironwork porch is a wonderful addition to every house facade. 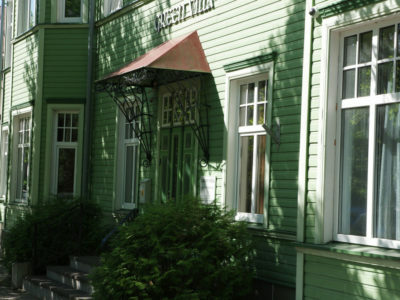 In addition to that, porch will protect the door and staircase from precipitation. 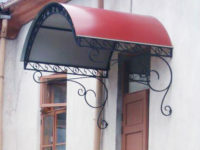 We are making various porch canopies and awnings according to our clients needs. 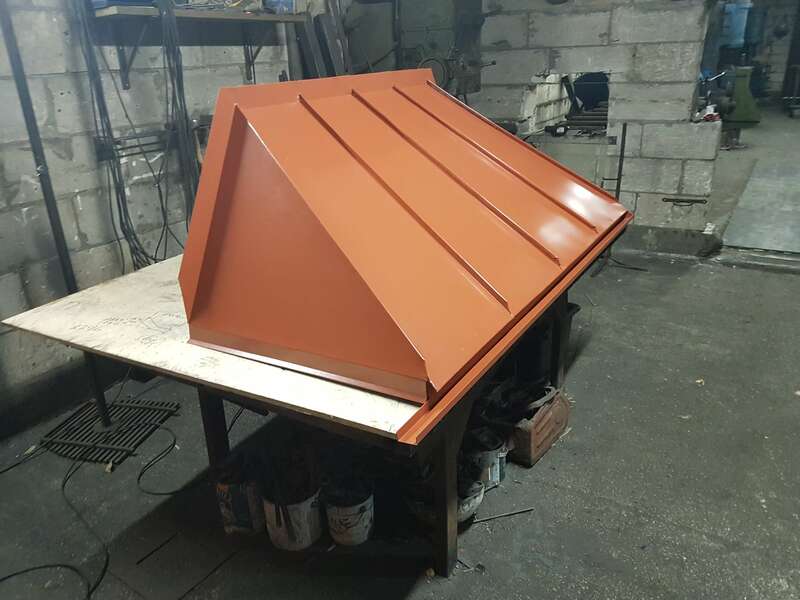 We use Ruukki roofing sheets as well as glass and plastic. 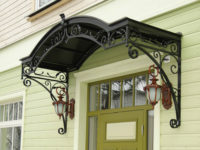 Frames and bearing structures are made according to the roof’s purpose, either form metal pipes or forged by hand. 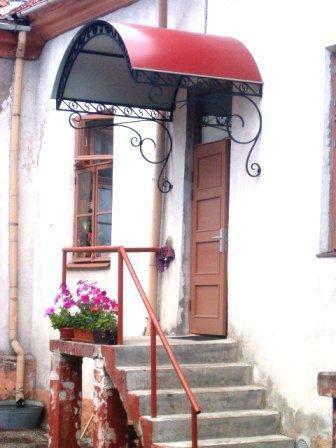 We have manufactured both awnings and other metal products for interior and exterior use for more than 20 years. 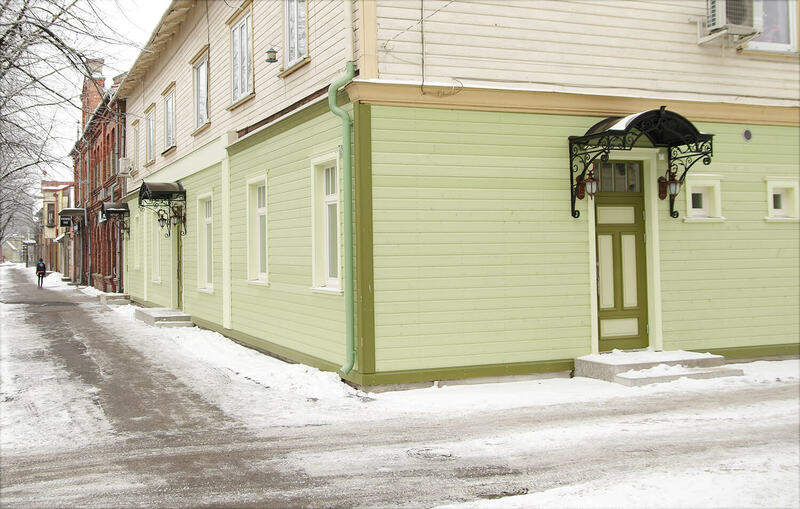 We have collaborated with restorers, developers, designers on a wide range of projects. 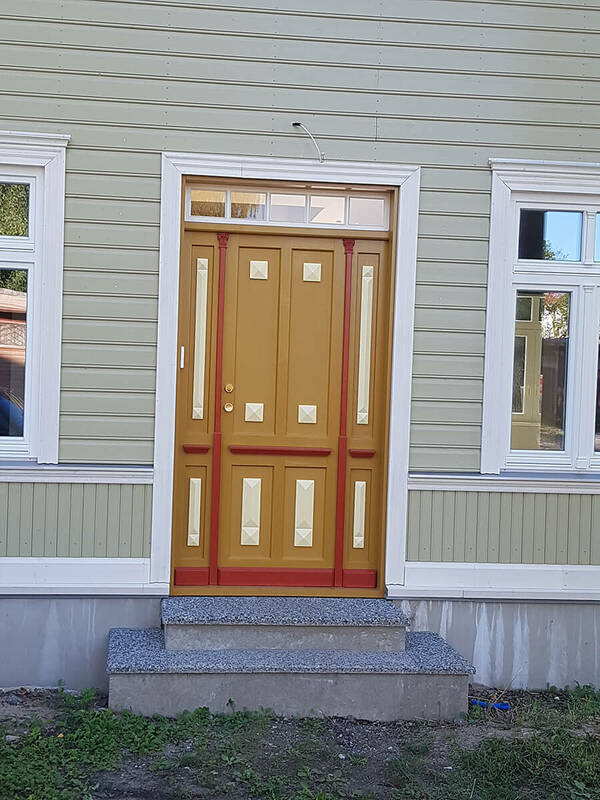 Based on our experience, we are 100% sure that we can make a product that you will definitely be satisfied with. 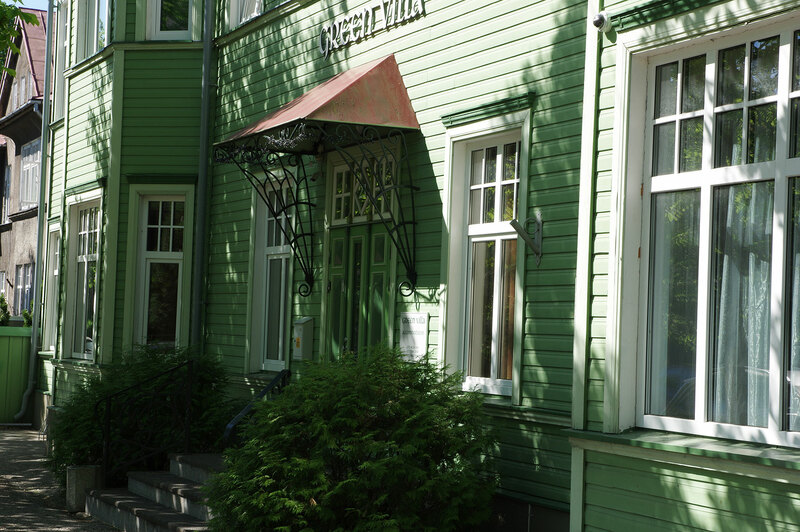 We will order the installation of the roof cover from a professional who has more than ten years of experience in Estonia, in Norway and elsewhere. 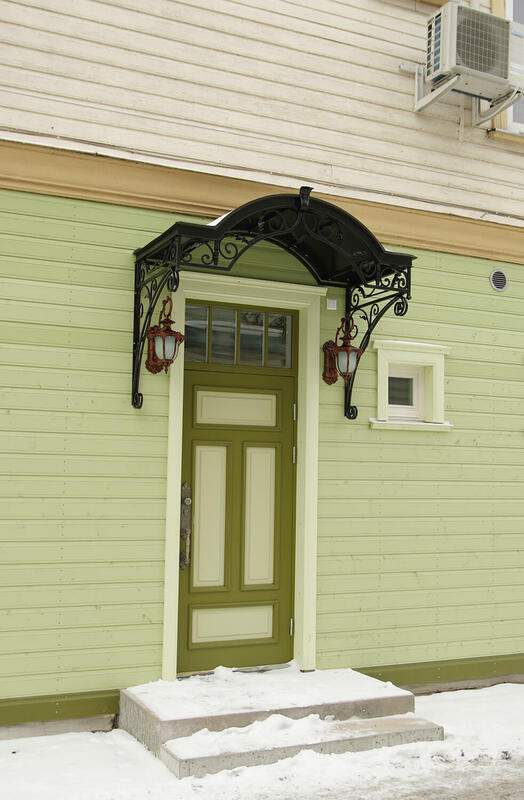 We can guarantee you that the porch canopy you will see attached to your wall is of high-quality. 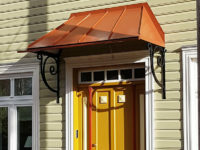 It is advisable to keep in mind that the aim of the porch canopy is to protect from rain and snow, so it should be as weather-proof as possible. 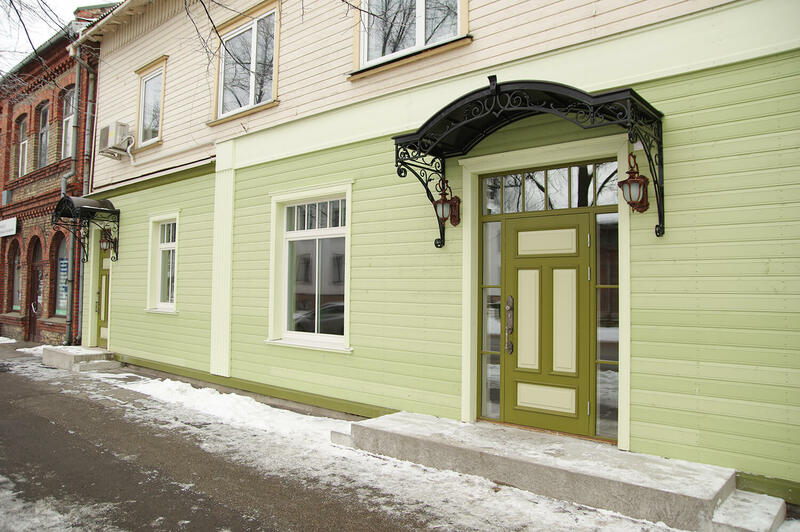 However, colour alone may not be sufficient to ensure maintenance free porch canopy. You save yourself from later expenses if you tell us while ordering to galvanise the frame. 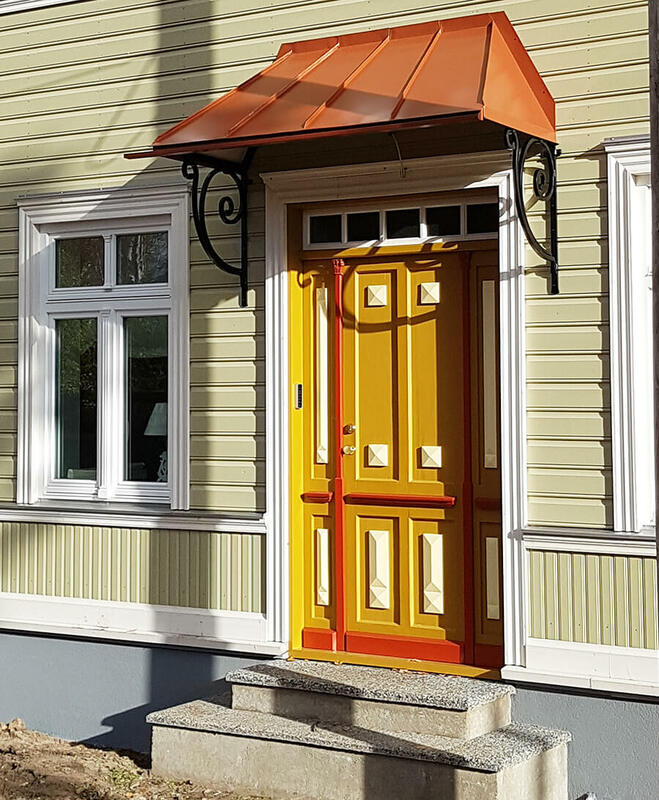 When the frame is galvanized, the colour remains undamaged for years, and it does not matter if you chose powder-coating or colouring with pistol. Some of our products are already ready to be placed on the wall. You will find these in the porch canopy menu under PRODUCTS FOR SALE. 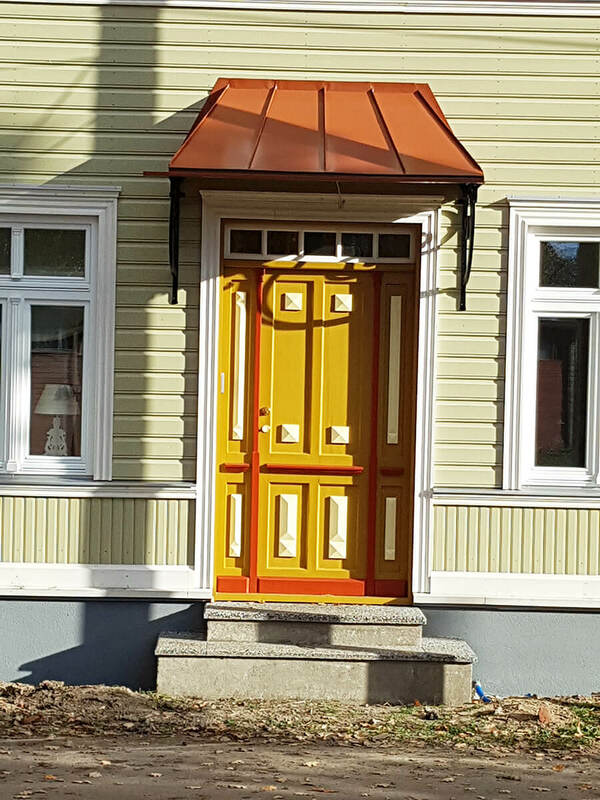 If you did not find anything suitable for your needs from there, then get in touch with us and we will make a dream porch canopy for you.